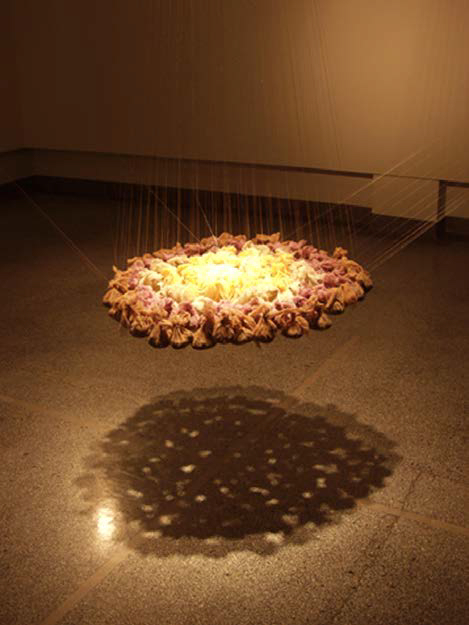 A site-specific installation in which I researched the concept of unity in relation to Diaspora (religious & cultural) through spices, threads and light. 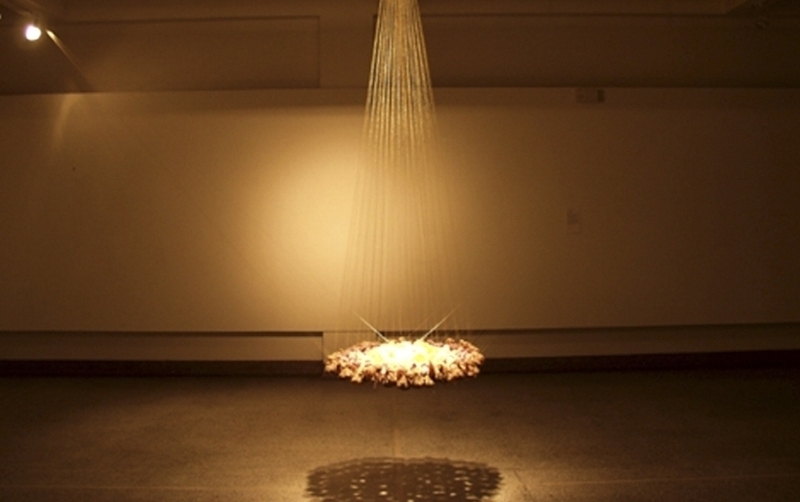 In this installation, threads not only connected in a space-time continuum but also supported a floating universe of spice sacks, meticulously spice-dyed and hanged individually in seven circles, a mystical number in Islam. The circles became nexus of our lives, interactions, differences, similarities, associations, and separations from others and also alluded to an existing yet hybridised colonial identity – individual or a collective.